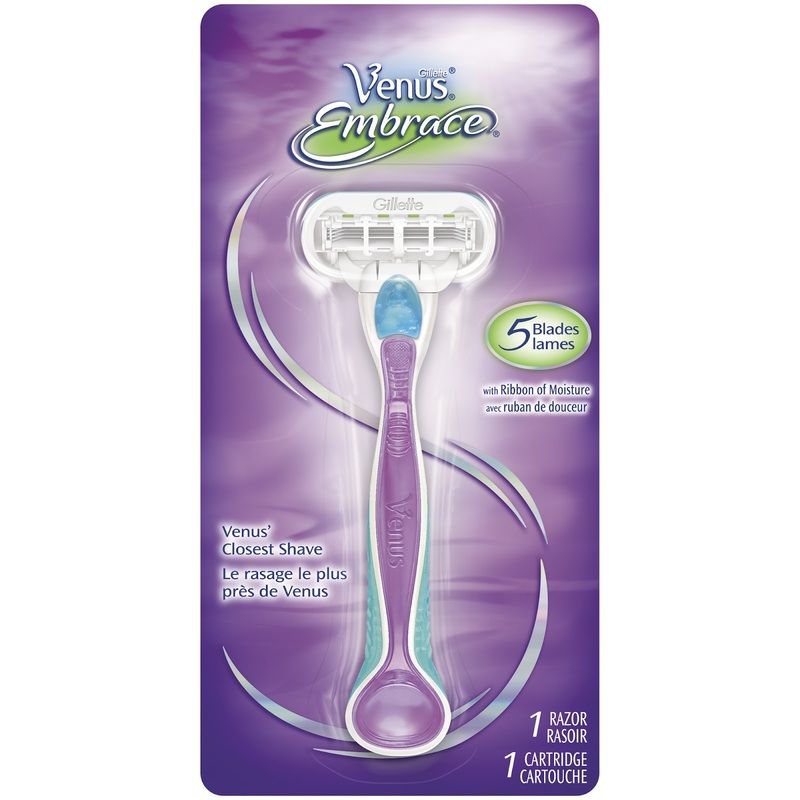 I got the Venus Embrace razor in my first Glossybox last week and had a chance to use it once for my legs and armpits. I normally use my husband's razor, a Gillette Fusion razor which is a pulsating one with 5 blades. I liked the idea of trying a "woman's razor". I wasn't using my husband's because I have extremely thick hair to shave or anything - it was only out of convenience and laziness; buying a razor is never really interesting. I thought that a "woman's razor" might be better for my needs since I do not have crazy-thick hair like a man's and I have pretty sensitive skin. I personally found that from using this razor the one time, it didn't do anything that the Gillette Fusion didn't do (like be more gentle or precise) and it just felt completely cheap in my hand compared to the heavy, battery-filled, metal Fusion that I normally use. I could maybe use "delicate" instead of "cheap" but for me it was not a good change really. Personally I will not buy this razor again but the company is not losing anything since I'm keeping my business with Gillette with my regular (husband's) Fusion razor.